Un tributo a Roma, un museo a cielo aperto che oltre ai monumenti ha anche migliaia di opere di arte che il circuito turistico tradizionale non offre la possibilità di vedere. 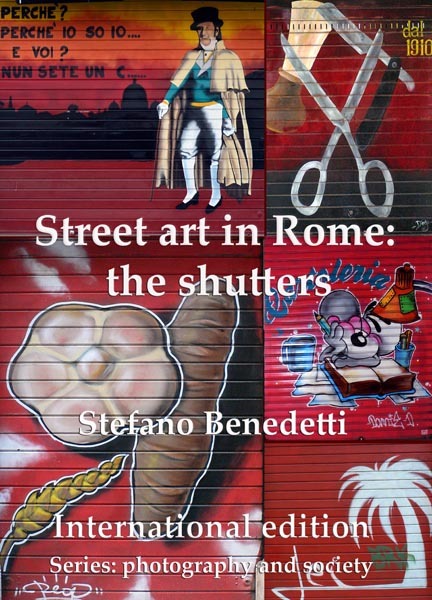 In questo libro sono riprodotte e interpretate attraverso la fotografia centinaia di opere dipinte sulle saracinesche dei negozi. Un originale libro di arte innovativa e unica. A tribute to Rome, an open-air museum that consists in its monuments and also by thousands of works of art that traditional tourist circuits do not offer the chance to see. 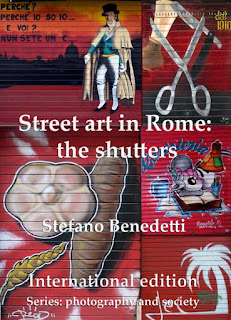 In this book are reproduced hundreds of works of art painted on the shutters of the shops. An unique art book, original that opens the eyes of an artistic innovative and high-level.